← NACCHO @RACGP Aboriginal Health and #Nutrition : The next RACGP NACCHO National guide to a preventive health assessment for Aboriginal people will examine the health effects of food insecurity. 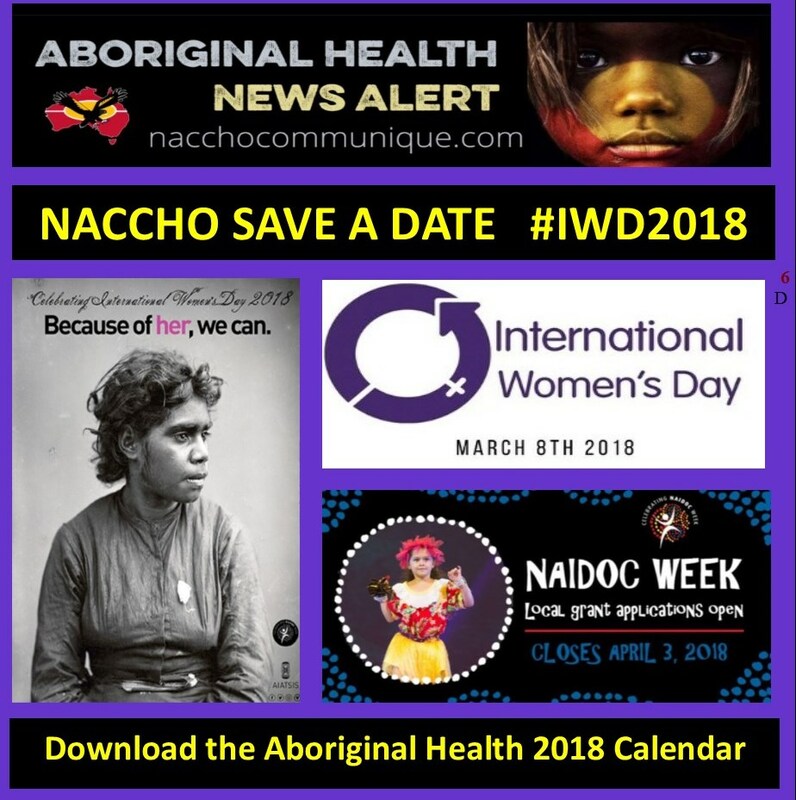 International Women’s Day (IWD) is on Thursday 8 March 2018 and celebrations will be held across the world to mark the day. IWD is a global day celebrating the social, economic, cultural and political achievements of women. The theme this year is #PressforProgress, a call to action for accelerating gender equality. We can all play a part in improving outcomes for women and this year’s theme provides an opportunity to press even harder for progress. This could include challenging out-dated attitudes and stereotypes, leading by example to ensure women are heard and respected, supporting flexible work environments, and celebrating women’s successes. 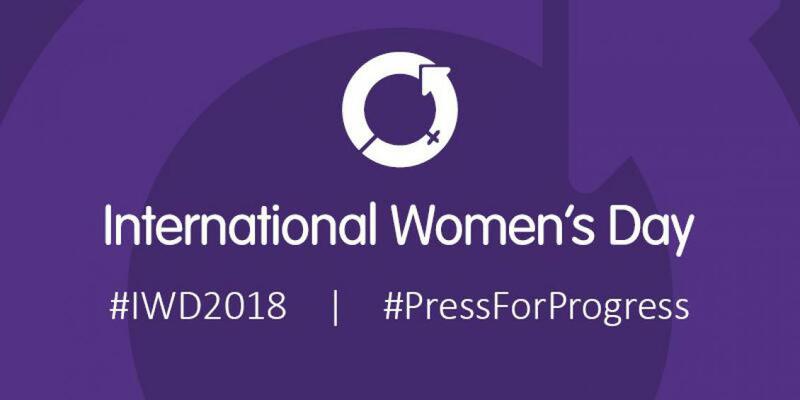 Follow @officeforwomen and #IWD2018 on Twitter to keep up to date with news and events on International Women’s Day. You can also get involved through the #PressForProgress campaign. For more information see the IWD website. Each year at AIATSIS we celebrate International Women’s Day to acknowledge the women around the globe who continue to empower women and girls through leadership, advocacy, strength and courage. 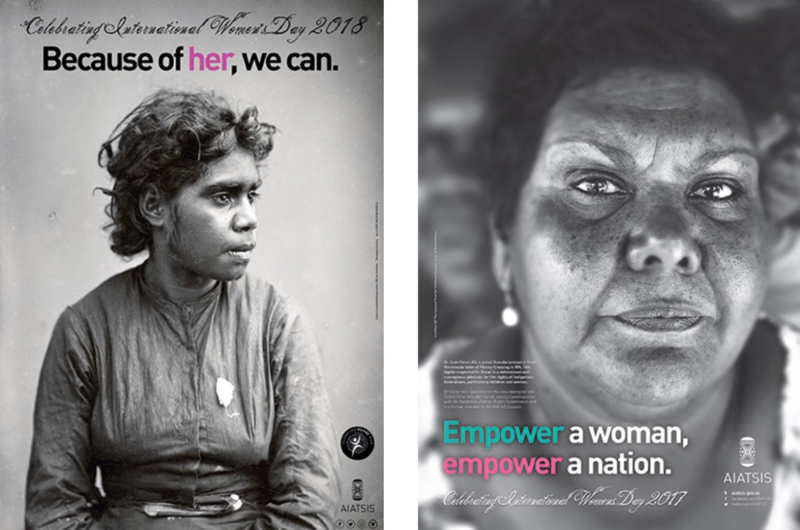 The image for the 2018 International Women’s Day poster has been drawn from the AIATSIS Collection to coincide with the 2018 National NAIDOC Theme Because of Her, we can! This striking historical image speaks to the strength of the women who have gone before us to create the world we live in today. 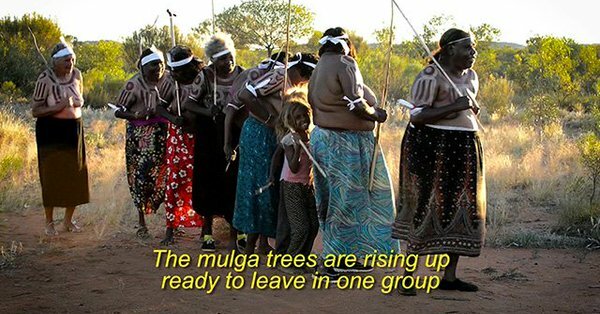 Description From many different places, and speaking many different languages, Indigenous Australian women from all over the country have produced amazing videos for ICTV. ICTV is excited to celebrate International Women’s Day with 12 hours of special programming. Celebrating Indigenous Australian Women behind and in front of the camera. Communities across the country will be supported to celebrate NAIDOC Week this year with a $1.4 million grants round. Minister for Indigenous Affairs, Nigel Scullion, encouraged communities to apply for a grant to host a local celebration. “NAIDOC Week is a fantastic opportunity to celebrate the history, culture and achievements of Aboriginal and Torres Strait Islander peoples,” said Minister Scullion. 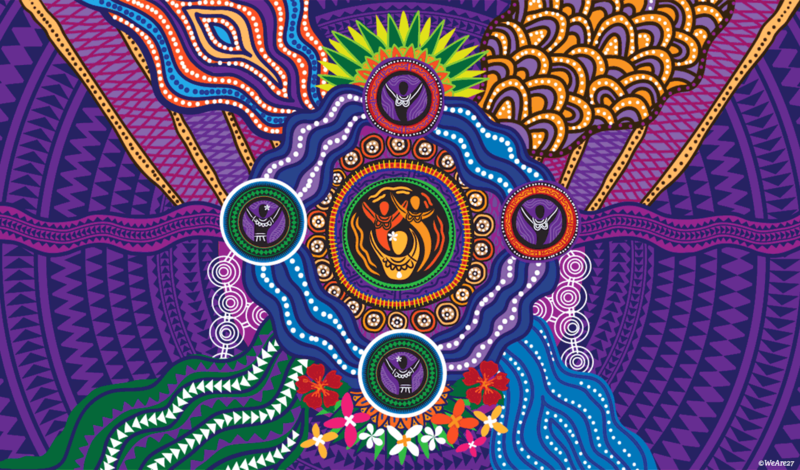 The 2018 NAIDOC theme ‘Because of her, we can!’ celebrates the important contributions that Aboriginal and Torres Strait Islander women have made and continue to make to our nation. Minister Scullion said that hundreds of events will be held across the country to celebrate NAIDOC Week. “NAIDOC Week celebrates the rich and unique place of Aboriginal and Torres Strait Islander people, and their history, culture and language in our nation and I encourage all communities to consider ways to get involved through the Coalition Government’s grant round,” Minister Scullion said today. 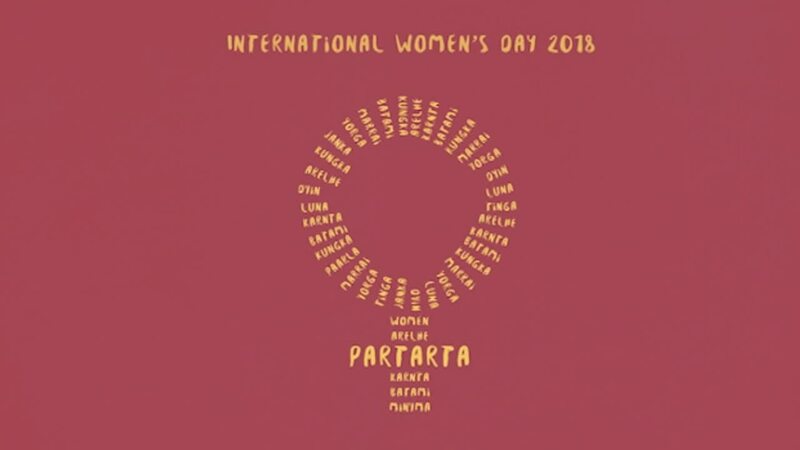 Will celebrate the invaluable contributions that Aboriginal and Torres Strait Islander women have made – and continue to make – to our communities, our families, our rich history and to our nation. We encourage as many Aboriginal and Torres Strait Islander women and girls to yarn with us in 2018. Whilst we would like to hear from as many Aboriginal and Torres Strait Islander women and girls as possible, we will not be able to attend every community. We therefore ask that if you are unable to attend a community event that you have your say by making a submission to us. engagements in VICTORIA are complete. We visited Mildura on Monday 19th – Tuesday 20th February, and Melbourne on Wednesday 21st – Friday 23rd of February. IBA is thrilled to announce the launch of Strong Women, Strong Business. 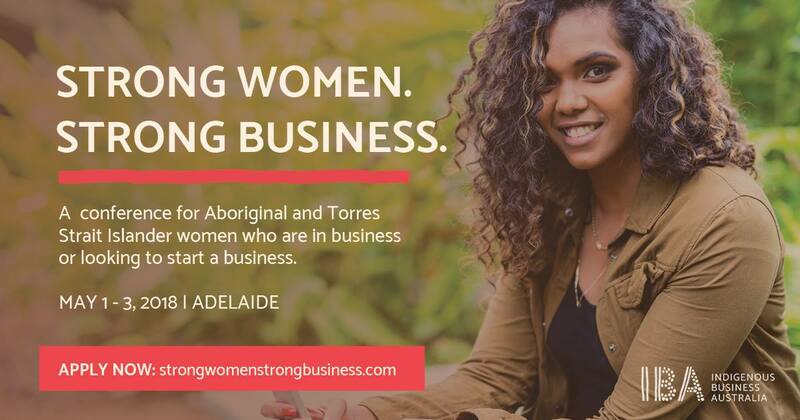 A first of its kind conference for Aboriginal and Torres Strait Islander women who are in business or looking to start a business. 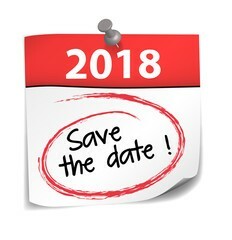 Held over three days in beautiful Glenelg in Adelaide, this unique event will bring together Indigenous businesswomen from remote, regional and urban Australia, across all stages of business and all industries, to achieve a true cross-section of the strong Indigenous women wh…o are in business today, and will be tomorrow. IBA will cover the costs of air travel, accommodation, transfers to and from the hotel and meals within the conference program for successful applicants. Spaces for this amazing conference are limited, so please tell us as much as you can about you, your business and why you would like to attend. Applications close 5pm, Friday 23 March so please register today by visiting www.strongwomenstrongbusiness.com.